A feminine version, based on the classic Phantom design. 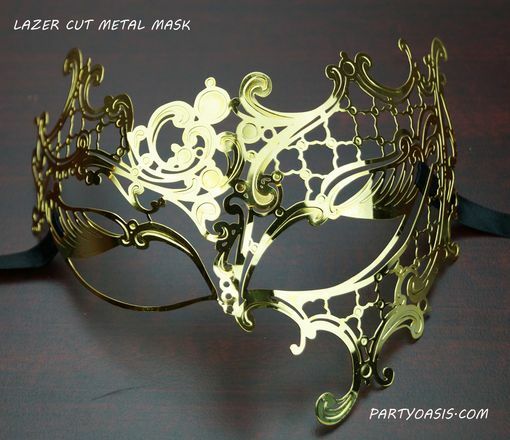 This laser cut metal mask is a classic design, with swirls, and eyelashes. Comes with a black ribbon.